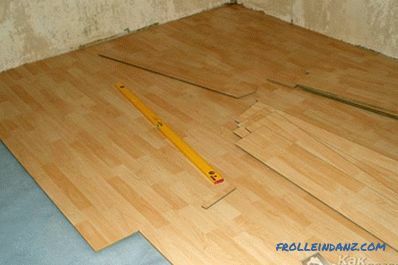 Laminate flooring is often used for flooring. This is a comfortable, beautiful and durable material. But sometimes the household can notice one unpleasant thing - the creak while walking. 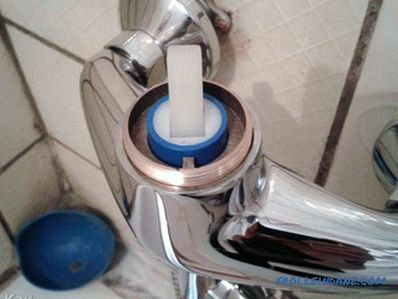 Such inconvenience can occur both immediately after installation and with time. What to do if the laminate creaks? Why is this happening and how to fix it? This will be discussed in this article. Such a squeak when walking on the laminate not only affects the human psyche (few people like such a nasty sound), it also has a detrimental effect on the coating itself. If this trouble is not fixed on time, then repair in the near future you can not avoid. If the base is prepared poorly, the sound may appear immediately after installation. But even if this did not happen, because of irregularities, the creak will appear rather soon. The second most common cause of squeaking is poor fastening of the panel locks. If on the basis there was a lot of garbage, or installation was made in a room with a large dust, then the appearance of a squeak is inevitable. Small debris, sand and small pebbles can fall under the panel or into the joints. In this case, the locks are badly closed, and will begin to fail with a corresponding creak. In addition to these two main reasons, there are several Yet. For example, there is no gap between the laminate panels and the wall. 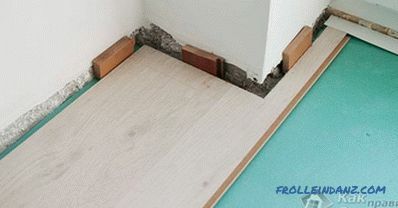 The floor should be laid with a small (1.5‒2 cm) gap along the entire perimeter of the room. This free space is necessary for the possible expansion of the panels. If there is no gap, then the laminate will rest against the walls and begin to creak. If you have laid the flooring in accordance with the recommendations (there is a gap, the base is even and clean), but the squeak is still there, this will indicate a poor quality of the laminate. It is better not to get involved in saving, in this case, the opposite sound will not, and the coating will serve you much longer. But whatever the cause of the squeak, it needs to be corrected. Otherwise, your cover will quickly fail and costly repairs will be required. First of all, carefully dismantle the skirting board. If you used quality material, then such actions should not cause difficulties. Then we remove the laminate panels that are laid against the walls. With a saw (or electric jigsaw) we cut a small strip (no more than 2 cm). We put the panel in place and fasten the plinth. As you can see, work not complicated. If you do them, you will prevent bloating of the coating, which means you will avoid repairs. At installation of a plinth it is worth paying attention how densely it adjoins to panels. Sometimes because of this, the floor can also creak. More difficult work needs to be done if the cause of the squeak is poor preparation of the foundation. In this case, you will have to dismantle the entire coverage, and this is a time consuming process. Some experts recommend (especially if you have an expensive laminate) to wait a while. If the creak is small, then over time all the grains of sand will disappear, and it will cease. But if it squeaks on a large area and strong, it is better to dismantle. Otherwise, the internal surface of the panels may be damaged, and the laminate will fail. Before you begin dismantling, purchase a new backing. Even if you have laid a laminate recently, replacements cannot be avoided. The old substrate is already "fed" with garbage and it will be almost impossible to remove it. After all panels are removed, remove the old backing. 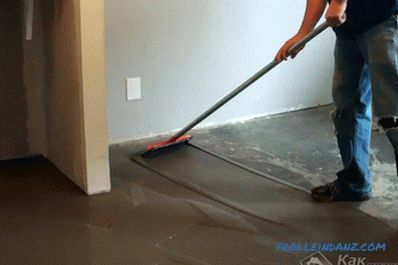 Then carefully remove all trash from the subfloor and from the inside of the panels. To do this, it is better to use a vacuum cleaner, and then wipe everything with a damp cloth. After the end of cleaning we make installation.First, lay a new substrate, and then the panel, in the sequence in which you did the initial installation. If you did everything carefully and carefully, then the creaking will disappear. The most labor-intensive work is carried out if the cause of the sound is uneven ground. In this case, the creaking will not disappear with time (as if the cause was trapped by garbage), and even intensify. First, we dismantle the baseboards, and then all the panels. In this case, it will not be possible to remove only part of the panels, because you need to level the entire surface of the subfloor. Following the panels, the substrate is removed (if it is in good condition, then you do not need to buy a new one). Now proceed to the alignment. 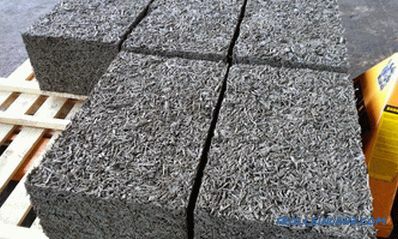 Everything will depend on the material from which the subfloor is made. A sand-cement screed is laid on the concrete base. 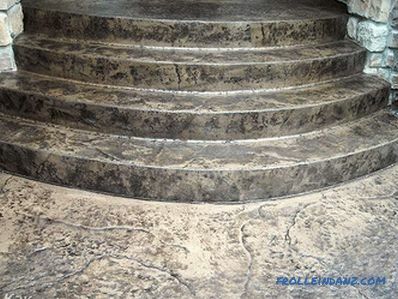 After it dries, a layer of self-leveling compound is poured in, which is able to create a flat surface. 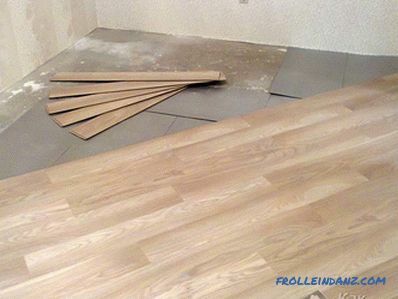 After drying of this layer, lay the substrate and install the laminate panels. If the floor is made of wood (floorboards), then it can be scraped. But most often (so, in fact, easier) stack a thick sheet of plywood or chipboard. 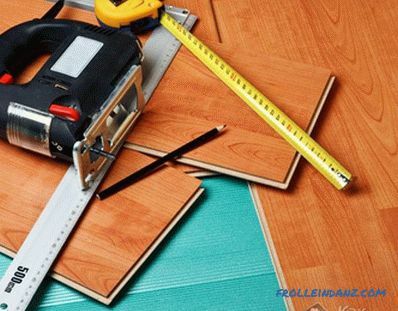 When leveling the floor with plywood, you can lay out the sheets in several layers, as long as the seams of the sheets between the layers do not match. Whichever way you align the base, be sure to check it out. 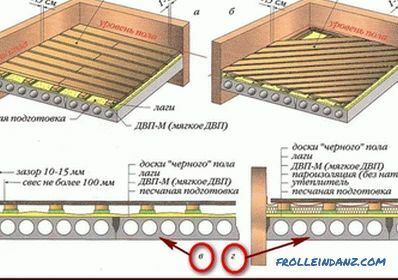 This is done using a level or long and flat wooden slats. Only after you have verified that there are no irregularities, you can begin to install the panels. When laying laminate do not forget about the garbage, otherwise the creaking will reappear, but for a different reason. As you can see, work on eliminating squeaking is rather laborious. 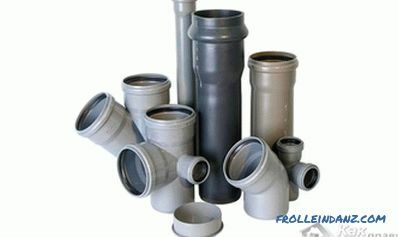 Therefore, it is better to make the initial installation in compliance with all recommendations from the manufacturer. Well prepare the base, level and clean it from debris. Also do not forget about the gaps around the perimeter of the room. If done correctly, the creak will not appear even after many years.